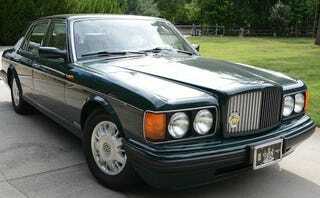 $20K for this minty-fresh 1997 Bentley Brooklands. British Racing Green over Ivory hides. 64,000 pampered miles. The want is very strong. The maintenance costs would kill me though, right?